This is easy to use, easy to apply and good drying time (2-3 minutes a coat). 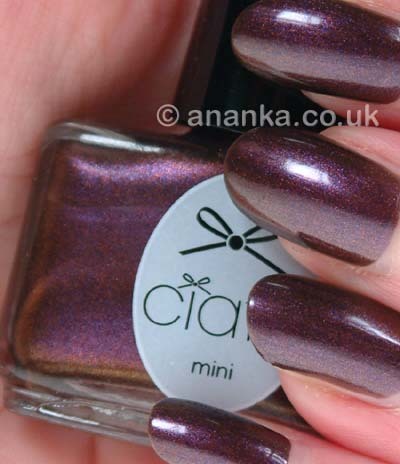 It's a nice purple that I would say is slightly iridescent and has a subtle shimmer. I think it is nice. This lasted well. Finish = shimmery and slightly iridescent! I just love vampy polishes like these!! beautiful! What a fab color for x-mas. What a great vampy polish.